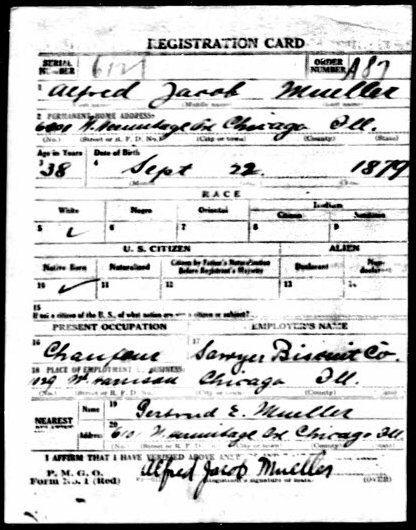 In honor of Biscuit Day, I thought I’d share a tidbit about my great-grandfather Alfred Jacob Mueller who worked for a biscuit company. Ebay is a great source for many things genealogical. That’s where I found this item from the Sawyer Biscuit Company. 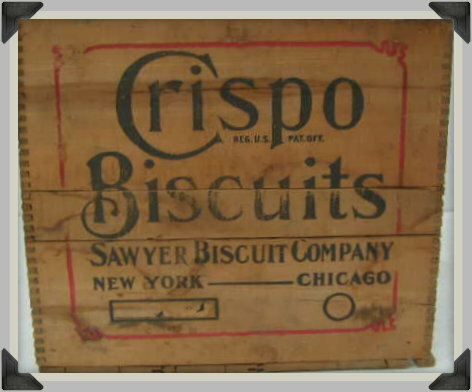 My grandfather, Erwin Alex Schaem, was the executive vice president of the Sawyer Biscuit Co. in Chicago before his retirement and move to South Bend, Indiana. He and my grandmother, Eva Dean Hupp-Schaem, lived in Hyde Park, in Chicago and I was with them often, taking the C&NW train from Kenosha, WI. They were good times and I loved them dearly. What fun to hear my Biscuit Day post brought back wonderful memories for you – thank you so much for sharing!